In science fiction it is common practice that parallel worlds and dimensions exist. In research, however, they are still heavily debated. Scientists are looking for them and for proof, that we and the earth exist in different versions. It would of course be a sensation to find a copy of the Earth and copies of us. But it doesn't seem that absurd. The Multiverse theory started with the physicist Hugh Everett III who started working for the Pentagon in 1956. Although he worked there for the Weapons Systems Evaluation Group, Everett continued his reflections on his multi-world theory and over the years refined it there. He also gave several lectures there on his theories. But if all that was nonsense then, the Pentagon would never have hired this genius and had his scientists trained by him! Today you can read his theories in the book "The Many Wolrds of Hugh Everett III". Although many researchers and scientists found this difficult, Hugh Everett III had turned physics and philosophy upside down. It is hard to imagine that in our own universe there are not only unknown particles, galaxies and solar systems with planets, but also parallel worlds containing copies of us. What was not an issue for orthodox school science for a long time, it now seems to be a paradigm shift in this field. More and more researchers dare to put their thoughts and considerations on paper, like Max Tegmark, physics professor at the Massachusetts Institute of Technology. 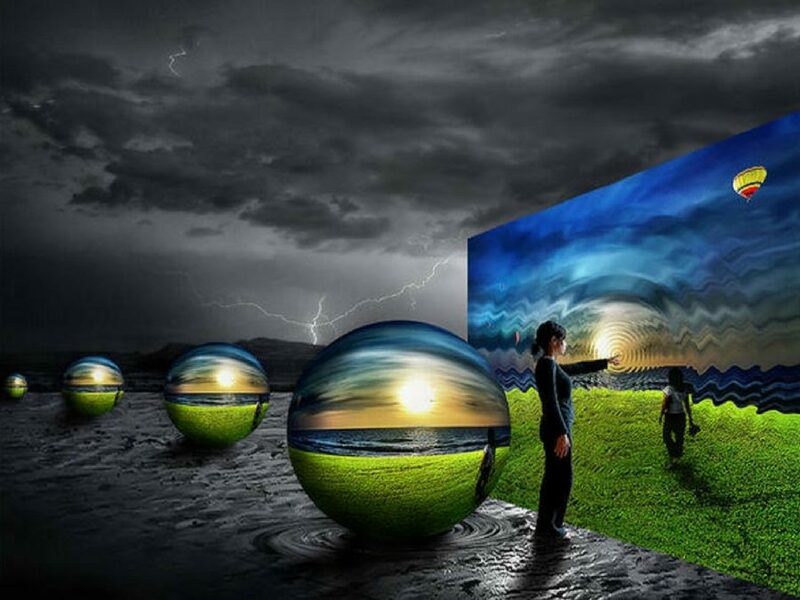 While Everett III could not yet determine how parallel worlds could exist or whether they could be divided, Tegmark divides them into four types and describes them as large and small mathematical formulas that are interconnected and can even influence each other. Each one of these parallel worlds could be similar to our world, showing only the smallest differences in detail, so each version would have its own mathematical code. "Man always speaks of the one universe, but generally he only means the part that is visible to us." This is probably connected with the light that is visible to us and our world. What if we could grasp and perceive the whole spectrum? Or even better, what if we could travel through these parallel worlds? Would we then be doubly present there? Or would we still be here and there again? So in two places at the same time? That's a bit paradoxical, but today's physics take that into consideration. The consideration comes from quantum mechanics, which shows us our world in its smallest building components. In quantum theory it is possible that the smallest particles can be at different places at the same time. And since we also consist of these particles, it might be possible, according to Tegmark, that we could be present at different places at the same time. But since Tegmark also assumes that each parallel world has its own code, each particle would have to adapt to different codes simultaneously. If the particles show some kind of malfunction or misbehavior and do not adapt, this could have a devastating effect on this parallel world and the smallest anaomaly in the code could even cause it to collapse. But every single particle would also be programmed to steer in a different way in every single parallel world, every decision we make, so that small changes could occur. In this case, this would mean that every time we make a decision, these small particles in or around us take on different states from which a new world with a different version emerges at every moment. Every decision we make, whether we eat something, whether we watch sports on TV, whether we meet with friends, read a book, or just want to go to sleep earlier - every decision we make creates another world in which we have decided differently than in this one, which would mean there are countless versions of us out there living our lives with other decisions. Hugh Everett III who is the father of many-world theory, and the scientist Max Tegmark are convinced that these parallel worlds form themselves like the example of the Big Bang, after which the cosmos has expanded inflationarily and continues to expand inflationarily. Since the Big Bang is based on mathematics and can be calculated, each parallel world will have to have its own code. According to the latest research, everything that exists that we perceive in our reality should also have its own code. If you like, every living being and everything that does not live has a soul (the code). and since everything could exist several times in different parallel worlds, everything would have to be connected to itself through this unique code. If we go further with the consideration, then one can also see this code as a consciousness and that our copies in the numerous parallel worlds are all one consciousness because all our codes are the same. 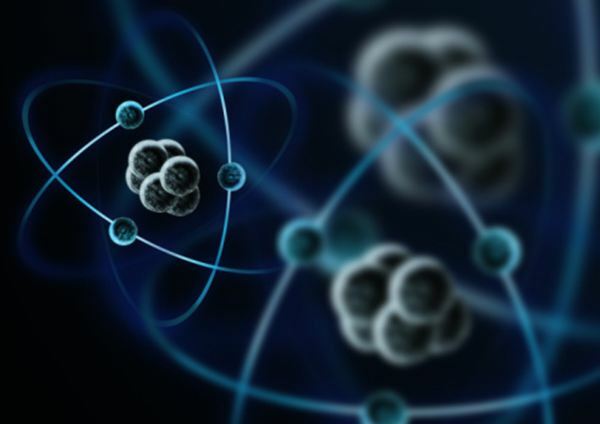 Quantum theory proves that nothing in the universe dies in reality. Everything that exists disintegrates after its time, into its individual parts and at some point it comes to the fact that particles connect again and form something new, thus something new is awakened to life, be it an insect or even just a snowflake. Nothing gets lost in the universe. But here the question arises what happens to the code (consciousness / soul) that everyone has? Is it lost? Or is it going over into the different parallel worlds? Let's go even further. What if this code is some kind of computing system that has to make all the decisions it could make in life to reach a certain level or boundary so it can go through some kind of evolution to develop itself? And until it hasn't achieved that, this code must repeat itself, so live different lives until it has? Quantum physics shows us that everything is immortal, even codes of things. They occur again and again, only in better form. What if these codes, i.e. consciousness, create and form reality and not the universe provides us with this reality first? the scientist and author Robert Lanza says that there is now enough evidence that we never die, but that our consciousness only changes the dimension, because in a timeless space there can be no death. Robert Lanza even goes so far as to claim that the theories about the universe are nothing more than stories created by our minds, that they are merely observations that have once been written down. According to Lanza, the universe can only be observed and interpreted by our consciousness. Therefore, it could well be within the scope of the many possibilities that our consciousness creates the universe in the first place. Lanza speaks of biocentrism in this case, in which there may even be an unlimited number of universes. All universes would exist simultaneously in this case. But what is fascinating is a discovery made 2 years ago in CERN: the universe should not even exist! Studies carried out at CERN showed that the universe should have destroyed itself at the moment of its emergence! Because in the Big Bang matter and antimatter were equally present and there one should have picked up and destroyed the other! Today nobody can really explain with certainty where the matter came from in the universe. There are numerous theories about it and mathematical calculations, but no unambiguous proof. Matter should have existed before the big bang. One suspects that before the big bang, everything that was there in matter must have contracted in order to trigger this mysterious bang and the expansion. The scientists at CERN are convinced that our previous physical models and theories of the big bang and matter must be rethought, because it is impossible for matter to have been created only by a big bang. Quantum mechanics shows us that particles can emerge from nowhere to form a material structure, but these ghost particles don't really emerge from nowhere, but are already contained in the universe - they were only somewhere else, in a different place and perhaps even from a different parallel world/dimension? The big bang is no proof and it's not sure if the big bang even existed. Maybe all this is just a story that we invented as consciousness and the reality is just based on it? Great post, here's something additional to consider. We are 3 dimensional creatures, simply perceiving the 4th dimension (Time), in a seemingly linear fashion, albeit moving through time at different rates based on mass and speed. Time however, would exist to 5th or higher dimensional creatures as something to be observed, from start to finish, and were there a multiverse - every decision and action taken by the infinite versions of "you", would be observable as well (in a sense everything that can possibly happen, has already happened). Perhaps our consciousness, just by running through scenarios of potential futures and ruminating on the past - we are experiencing glimpses into these parallel universes, every thought therefore would be connecting us to these infinite versions of us - kind of like your take on dreams - but expanded to include all of thought (except being mindful in the present moment I suppose). Interesting post! Cheers. really good thoughts. There you can see that the deeper you go into the topic, the more complex it can all become... but in the end you can see that it's very simple. Maybe after our death, our soul will change into a higher dimension, where we can watch our lives in the different parallel worlds like a film again, with all our decisions and experiences, where there is no time? or no time as we know it? I think that is certainly possible, after this receiver of consciousness stops living, we very well could go on to a higher level dimension where, I suppose we could relive moments or as you say, watch them and how they unfold based on different decisions parallel "us" makes. 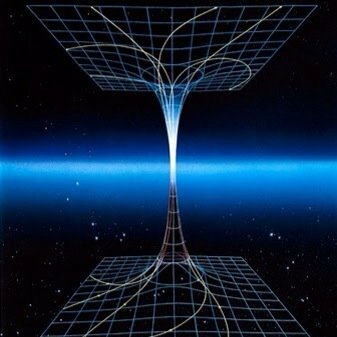 I've been thinking more and more, that "God" or the creator of the universe, or Einsteins "whatever set the laws of physics into motion", has most likely created some sort of test spaces - infinite universes with infinite possibilities, to maybe understand where "It" came from? Very interesting topic! In my opinion, consciousness is the key to everything. It is so strange how I perceived reality a couple years ago compared to now. Everything starts in the mind and the consciousness. I guess the more we find out about this, the more our lives will change. It is kinda creepy if you imagine all the possibilities this knowledge might give us. I'm just thinking about "saving" and "uploading" consciousness for example. This seems to be far away to imagine right now, but if we dive deeper, then what is time? As usual a very well written and reasoned article, thanks and keep up the good work. My pleasure, I noticed that many people had upvoted without comment. Friend, all this I had already thought about. I have spent a lot of time thinking about the possibility of the multiuniverse, and I always discuss with a friend the many theories we have read, heard, or seen on television. undoubtedly we are convinced that there are different versions of ourselves with every decision we make, that we even attract the different energies of each of our versions, that through dreams we can see those interpretations and thus take a decision in this time and space. We are believers of these theories and we want to see the day that is proven with certain, although I doubt very much that we can do it. I love this post, you have my congratulations. Everyday we decide what we are doing and what frequency we tune in. I believe in this concept. Sometimes it is still hard to to make the right decisions and get the right answers tho. I mean if it would be that easy, then nobody would be sick and the whole world would be happy right? Big Bang is a theory and will remain a theory forever. How could something (universe) existed out of nothing? Something exists out of something in a philosophical explanation. Its clear that there's a source of everything. A newly born child don't exist itself but through his/her parents because of the power of love. I like a good post. Like and Subscribe. Waiting for more posts and follow your blog. Your UA account score is currently 4.740 which ranks you at #1510 across all Steem accounts. In our last Algorithmic Curation Round, consisting of 225 contributions, your post is ranked at #21.